Suffering injuries while hospitalized can result in the hospital being held liable for medical malpractice. Physicians who are not employed by the hospital, yet administers treatment to a patient that results in an injury can be held liable for malpractice. Hip and leg injuries that occur in a hospital may be caused as a result of slipping, falling, surgery or negligent treatment. Hip and leg injuries must not have existed before entering the hospital. If the injury did exist before entering the hospital, it would have to have been made worse by treatment. This necessitates having proof of the hip and leg injury before and after the patient entered the hospital for treatment. This proof can be shown through medical records and the testimony of witnesses. Hip and leg injuries must be shown to have been caused by a nurse, physician or other hospital negligence. Patients who are ill can easily slip and fall. Because of this, many hospitals require a nurse’s assistance when moving around the hospital, or in and out of hospital rooms. 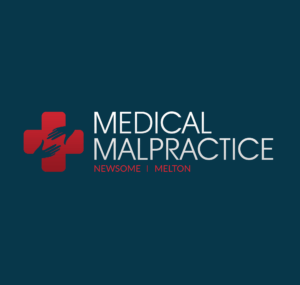 Negligence or malpractice will require proof that an employee of the hospital or a doctor acted in a negligible way, against instructions, or in a way that was improper. Patients who receive hip or leg injuries while staying in a hospital can be awarded compensatory damages for all additional medical expenses incurred from these injuries. They may also be awarded damages for pain and suffering, and for mental distress. Punitive damages can also be awarded, provided the hospital was grossly negligent.